The Rams earn a 6-2 win to advance to the quarterfinals. 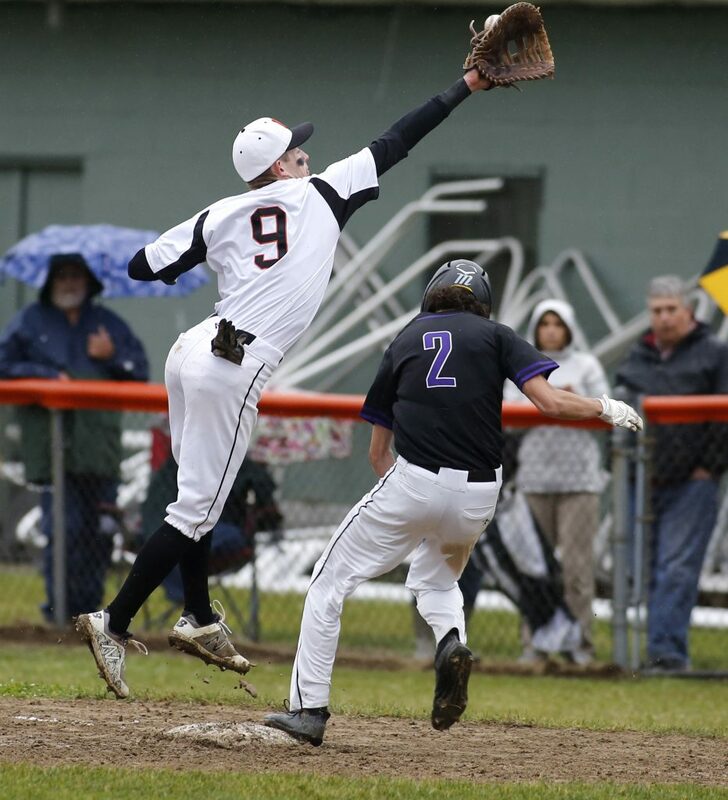 BIDDEFORD — Bases loaded, no outs, top of the seventh, trailing by a run. 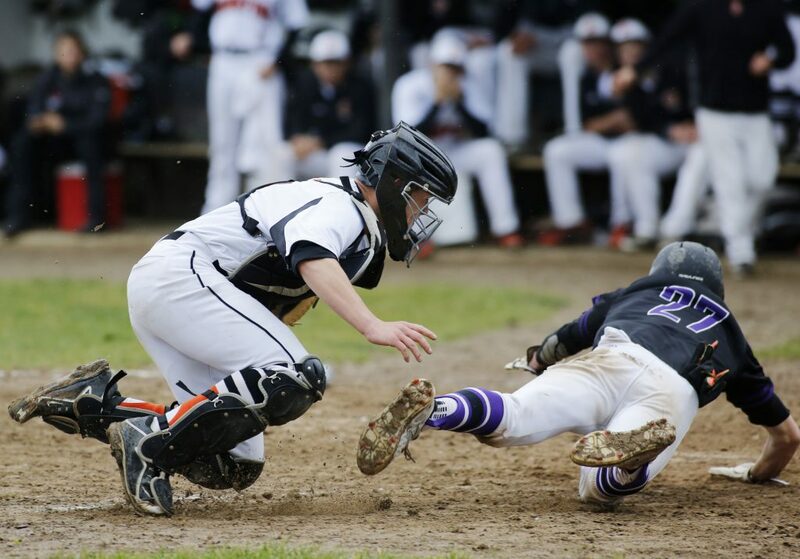 Ridge, whose error in the bottom of the sixth led to a go-ahead run by Biddeford, drove in two runs to ignite a stunning five-run rally that carried the 12th-ranked Rams to a 6-2 victory over the No. 5 Tigers in a Class A South preliminary round playoff game at St. Louis Field. 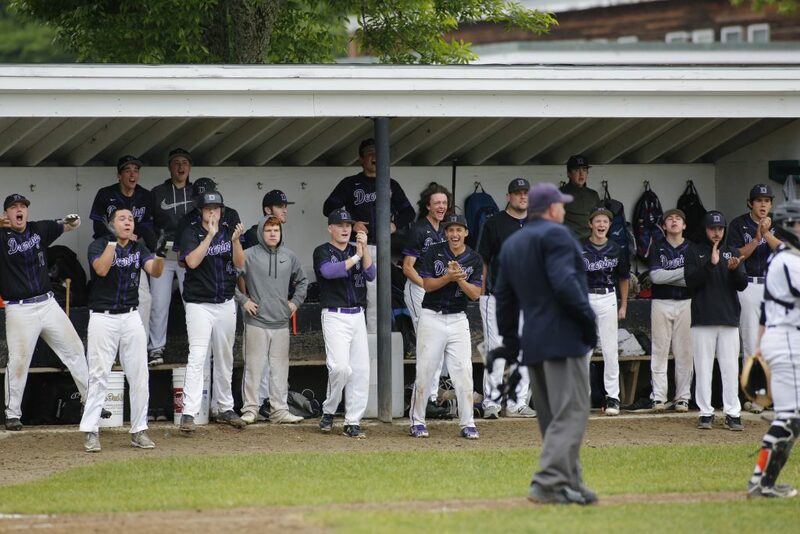 Aided by three Biddeford errors, Deering sent 10 batters to the plate in the top of the seventh of a game played in intermittent rain. The Rams (8-9) will play No. 4 Cheverus in the South A quarterfinals. 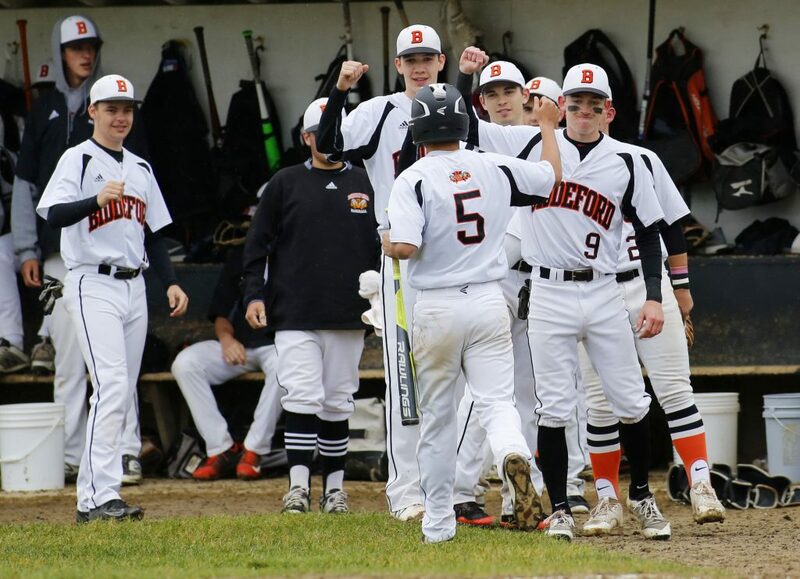 Biddeford finished 11-6. 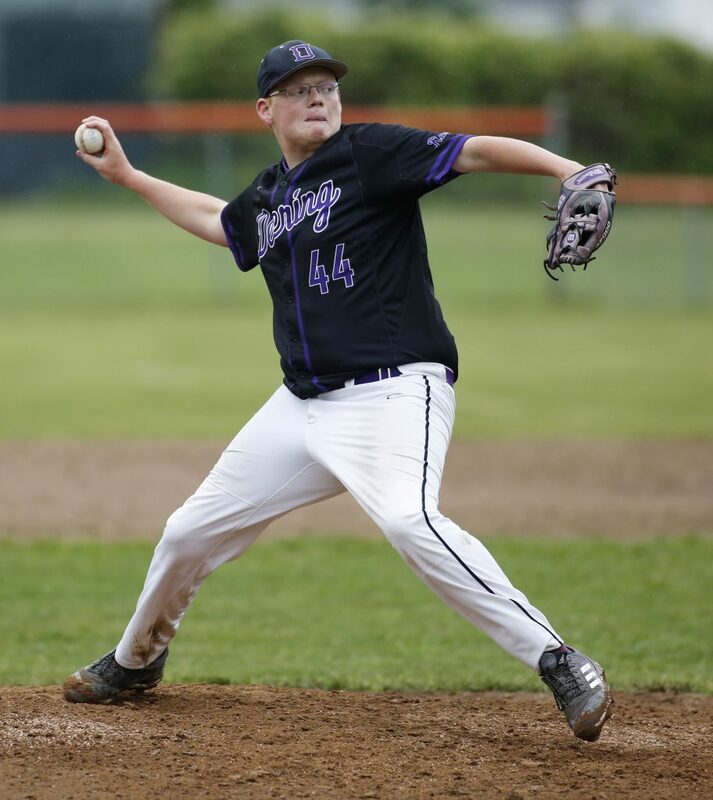 The first six innings were a pitcher’s duel between Deering’s Luke Hill and Biddeford’s Brice Springer. 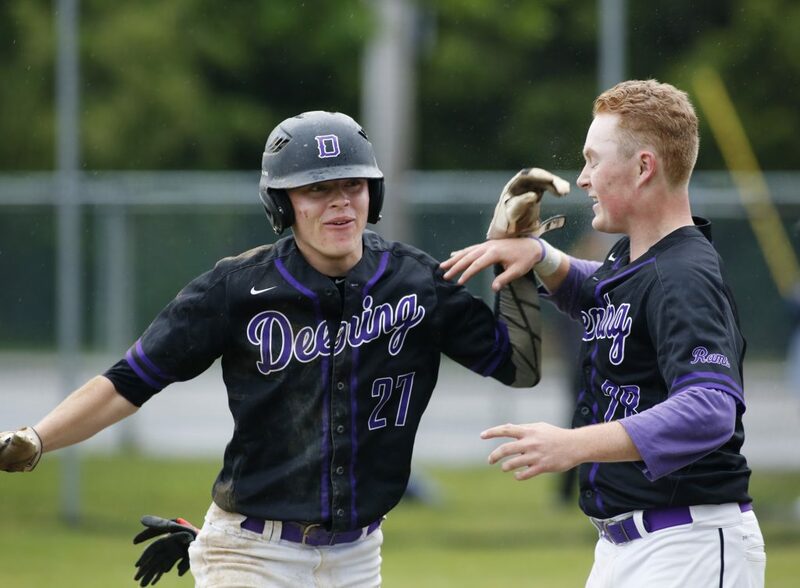 Springer gave up a run in the first – Deering’s first three batters reached, with Luc Harrison getting an RBI single – then settled down. He worked out of a bases-loaded, no-out jam in the third and finished with 10 strikeouts. 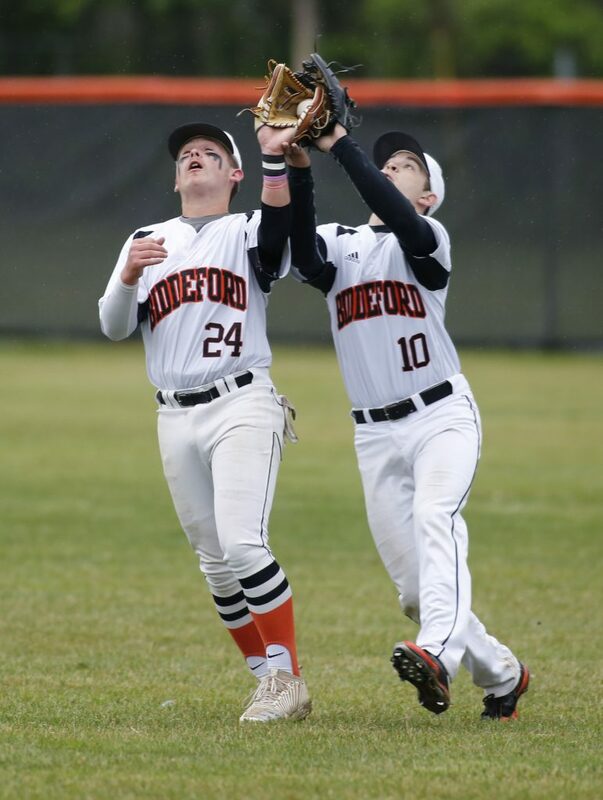 Hill, meanwhile, gave up an RBI single to Curtis Petit in the second but otherwise held down a potent Biddeford offense. 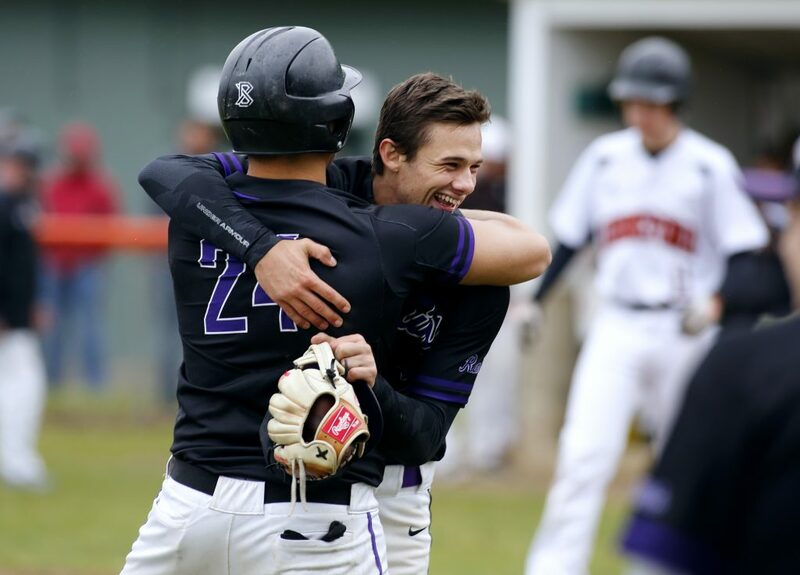 Then came the sixth, when Ridge’s miscue – he misplayed a pop fly by Ian Couture, allowing him to reach second – led to a second RBI single by Petit and a 2-1 Biddeford lead entering the seventh. Alex McGonagle led off with an 0-2 single. 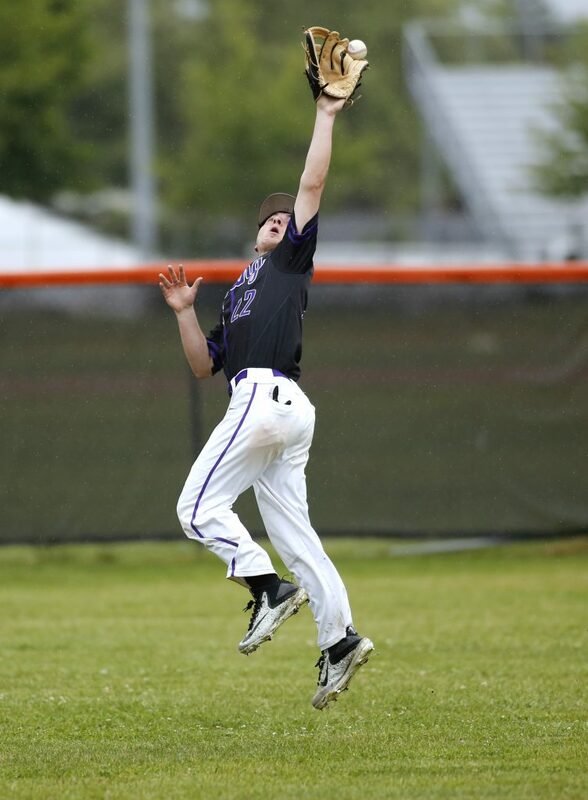 Caleb Delano then put down a bunt, but the throw sailed into right field, allowing runners to reach second and third. 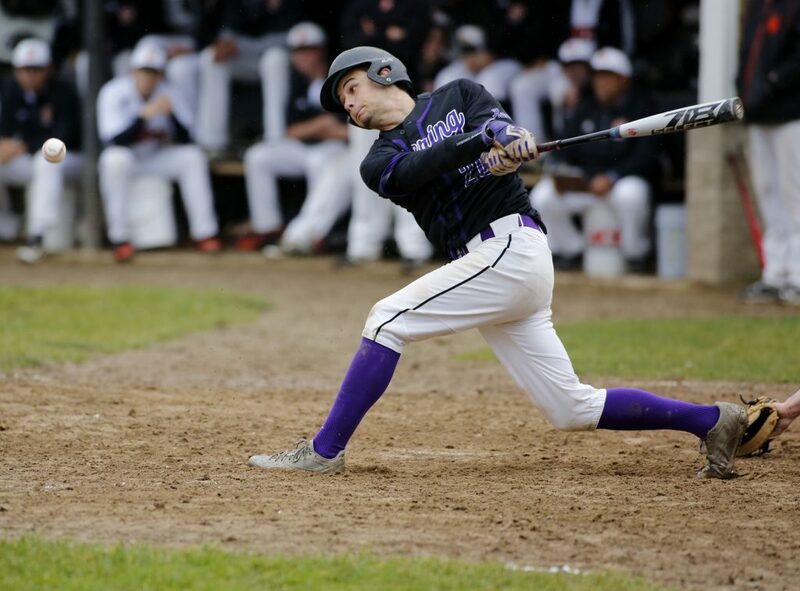 Jack Lynch, who already had two hits, was intentionally walked, bringing up Ridge. “I was just looking for a pitch to hit,” he said. It came at 0-1 and he laced it into the gap in right-center, scoring McGonagle and Delano and putting the Rams ahead 3-2. Harrison followed with a bunt and when Petit, the catcher, fielded it, he tried to tag Lynch out at home. But the ball came loose and Lynch was safe, making it 4-2. Evan Paquette replaced Springer and, after an out, Hill’s infield chopper was thrown away, allowing the final two runs to score. Harrison, who replaced Hill (pitch count limit) in the sixth, gave up a hit in the seventh. But Hill, playing shortstop, fittingly got the final out when he fielded a grounder and stomped on second for the force out. “It was nice having the ball come back to me to end the game,” he said. And it was a tough ending for the Tigers.